Saloon doors are trending with DIYers who want to split up a small space, add flair to an outdoor area or pump up the panache in a nook. They aren't difficult to make and there are many styles and types to choose from that range from inexpensive to ornate and costly. 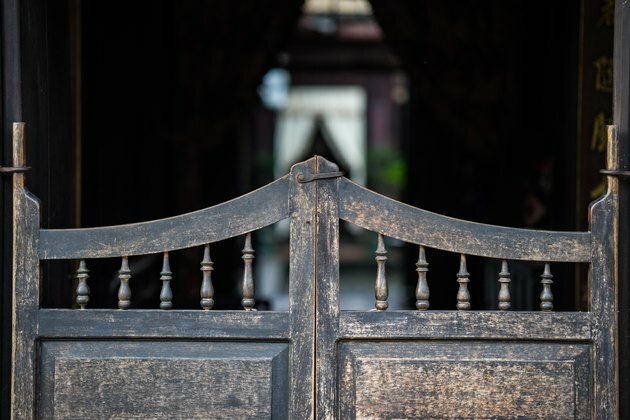 From café chic to rustic wood in a western style, there are many types of saloon doors. Pub doors offer a semi-opaque paned glass that allows light to flow from one room to another but sustains a sense of privacy. Café doors swing open and can be slatted, solid or carved to fit in with most any style, from modern panache to Midwestern grace. Classic saloon doors dip down at the top and curve up at the bottom to make sweeping "S" shapes that allow you to see into the other room but feel as if you have solitude. Those with glass panels or solid wood construction that run the length of a doorway can be more expensive than the standard saloon door. They are a stylish alternative to a bland interior door. Premade doors come in all shapes and sizes and are easy to install. Raw barn-type doors can be painted or stained to match any décor or weather considerations for outdoor entertaining. 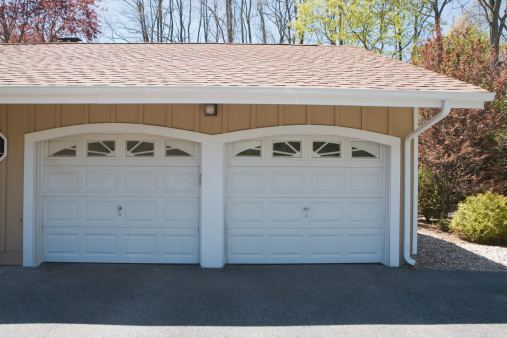 The premade cache is tremendous so take time to consider what your needs are and how the doors will affect the design and aesthetic of the area where you plan to install them. Old doors can be refurbished, cut, painted or sanded and stained to make saloon doors specific to your needs. Panels of wood can be bought at home improvement stores and furnished into saloon doors. Just make sure they are reinforced and sturdy enough to hang without pulling loose from the hardware, which is just as important to keeping a door from falling off its frame. Measure the width of the frame or wall space you intend to hang the saloon doors on. Accommodate for the hinges that will take up 1 1/2 inches. Divide by two and that will be the width of each door section. Measure for the length of the door you have chosen. If you plan on traditional saloon doors, don't bother with measuring for clearance. If the doors go the entire length of the entryway or wall, give 1 1/2 inches of clearance on the bottom of the door so that it won't catch on carpeting or other flooring. Use the correct hardware to hold the weight of the door and install the hinges. A door that fills the entry way needs a third hinge in the middle of the frame to keep it stable. Attach the swinging doors to the hinges and call it a day.